Citadines KurfÃÂ¼rstendamm Berlin offers guests a comfortable stay with 1 room studios for 2 guests and 2 room apartments providing for up to 4 people. With high speed internet service and weekly housekeeping, guests can enjoy comforts and conveniences of home while in Berlin. Apartments are all designed with fully-equipped kitchens and several studios on the ground floor have been designed specifically for guests with reduced mobility. Hotel accommodates requests for adjacent rooms and breakfast is provided. Brandenburg Gate is a 40 minute brisk walk, while the subway is only about 4 minutes away. Supermarket, bakery and roast chicken shop opposite hotel. 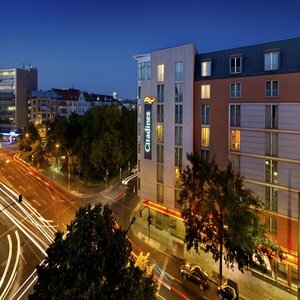 A variety of sights, cultural highlights and shopping opportunities are within close proximity to Citadines Kurfrstendamm Berlin. Living in the city centre, guests are just minutes away from the Kurfrstendamm and the world famous Gedchtniskirche (Memorial Church).